Several thoughtful people who have had a pain or two themselves have inquired "What the heck is a 'starburst'?" Doesn't everyone know that? It's a candy. A "fruit" chew if you don't take the fruit part too seriously. "Picture your muscles like the layers on a cake, except that each layer can move in an independent direction from the one above and below it. In your case, as a result of the injury and the [three months of] immobilization, your layers got all smashed together. 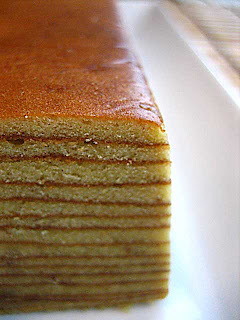 Instead of just separating the layers, the icing in between became like glue and bonded all the layers together. That's why you have so little mobility." So, basically, each of those little starburst jolts was another little bit of the hardened icing/glue being torn away to free up the muscle to move. The old expression applies: "No pain, no gain." It's now been a couple of weeks since a good starburst, and I'm swimming again. I look a bit like a crab but the bad shoulder will begin moving better soon!